As economic development gathers pace in South Asia, its coastal regions are coming under pressure as never before. More ports, power plants and tourist resorts are jostling with fishermen and farmers. Balancing livelihoods, economic growth and environmental conservation is the only way to avoid a major resource crisis, acknowledged participants at the South Asia Convention on Coastal Management held in Pondicherry, India, from 19 to 21 January 2014. Over 70 senior government officials, researchers, civil society activists and journalists from Bangladesh, India, Maldives, Pakistan and Sri Lanka came together for this event, organised by Delhi-based Centre for Science and Environment (CSE) and Pondicherry-based citizen group, PondyCAN. They reported how a disproportionately high share of South Asia’s industrialisation, urbanisation and tourism development is concentrated along its combined 11,240 km of coastline. In total, coastal areas support livelihoods of some 400 million South Asians through fisheries, tourism and other activities. In many parts of the region, high population density exists alongside sensitive ecosystems – such as mangroves and coral reefs and river estuaries. 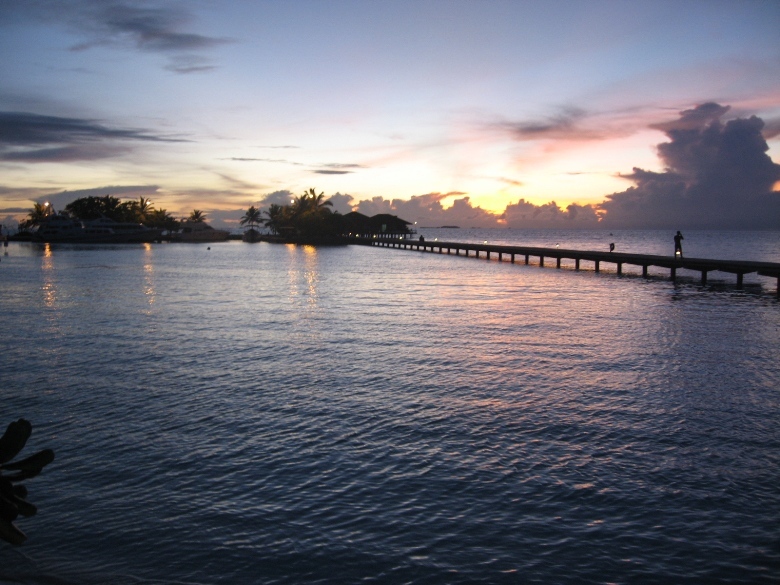 This intensifies the challenge of managing coastal resources. Climate change impacts, already felt as extreme weather events, add to these pressures. Participants discussed strategies for regulating coastal development, protecting coastal habitats and coping with climate change. They agreed on the urgent need for improving scientific understanding of coastal regions, which begins with clearly defining, demarcating and mapping such areas. Evidence based policy making and effective regulation depend on such a knowledge base, currently lacking or inadequate. “There is a need to strengthen regulatory systems, build capacity and do more research to better manage coastal challenges in South Asia,” said Sunita Narain, Director General of CSE. In CSE’s view, she said, the most important intervention is to strengthen existing institutions to get them to deliver with greater transparency and accountability. She added: “We need to balance conservation with benefits to local communities. We also need partnerships between conservation, development and livelihoods without which coastal resource management is not possible in a region like South Asia”. 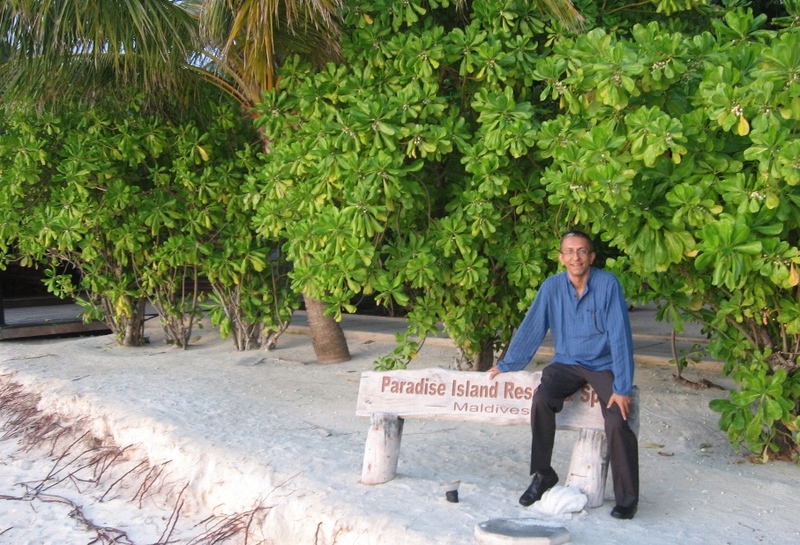 Ibrahim Naeem, Director of the SAARC Coastal Zone Management Centre, located in the Maldives, explained the value of integrated coastal zone management (ICZM) in balancing competing interests. Only such an approach can reconcile the many pressures faced by South Asia’s maritime countries including poverty, depleting resources, increasing hazards and large scale enterprises seeking quick profits from the coastal resources. “We need to make sure these plans incorporate climate change to make them more meaningful to countries like ours,” he added. Large scale infrastructure development projects are adding to other pressures. India – which already has 202 commercial ports and 27 thermal power plants on its coastline – is planning another 76 ports and 59 power plants. Over 70% of Sri Lanka’s tourist hotels are located in the coastal zone, with more coming up. The scramble for the coast is increasing in other countries, too. Meanwhile, over two thirds of the world’s ship breaking takes place on open beaches in Bangladesh, India and Pakistan with little regard for worker health or environmental pollution. It is a highly hazardous industry with lucrative returns for operators. Participants agreed on the need for the South Asian countries to share experiences and approaches and to learn from each other. “It is important for South Asian countries to learn from each other’s successes and failures,” said Dr Anil Premaratne, Director General of Sri Lanka’s Coast Conservation Department. Premaratne pointed out that laws and regulations are just one strategy for better managing coastal areas. Other strategies include awareness raising and public education, and the involvement of local communities in resource management and benefit sharing. Participants also stressed the need for placing all scientific information and maps in the public domain. Right now, these are often trapped in state agencies or research institutes, with no easy access to researchers or other citizens. To keep up with the silly season, here’s another photo taken in July 2011 in…well, read the sign behind us. Cooling without warming: Cool Biz for a safer future? I’m sitting in Paradise – and freezing. This isn’t quite what I imagined it to be. 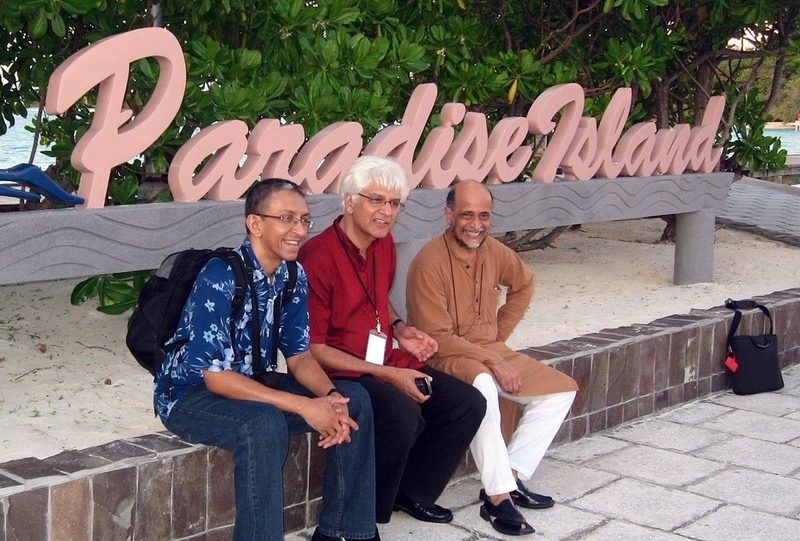 Well, actually I’m attending a serious inter-governmental meeting being held at the Paradise Island Resort and Spa in the Maldives. The setting is exotic enough – I’m near some of the finest beaches and bluest seas in the world. It’s a cloudy day outside, with tropical sunshine interrupted by occasional showers. We’re just a few hundred kilometres north of the Equator. But it’s whole different world inside the meeting room. We have no windows and are visually cut off from the scenery. And the air conditioning is too strong. Even the 50 or so people inside the room don’t emit enough body heat to counter the chill spilling out from the ceiling. Paradise (resort) isn’t alone. Across tropical Asia, our public offices, hotels and shopping malls just love to freeze us out. This habit has a particular irony at this meeting. Convened by the UN Environment Programme (UNEP), it’s discussing how to stay cool without killing the planet. To be precise, how air conditioning and refrigeration industries can continue their business – and keep cooling people and goods – without damaging the ozone layer or warming the planet. It’s the semi-annual meeting of government officials from across Asia who help implement the Montreal Protocol to control and phase out several dozen industrial chemicals that damage the ozone layer in the upper atmosphere. Adopted in 1987 and now ratified by 196 countries, it is the world’s most successful environmental treaty. It has reversed a catastrophic loss of ozone high up in the Earth’s atmosphere, and prevented tens of thousands of cases of skin cancer and cataract. A landmark was reached at the end of 2009, when it succeeded in totally phasing out the production and use of chlorofluorocarbons (CFCs) — chemicals that had helped the cooling industries for decades. Now, a bigger challenge remains: removing two other widely used gases known as HCFCs and HFCs. Both were originally promoted as substitutes for CFCs in the early days of the Protocol. HCFCs are less ozone-damaging than CFCs, while HFCs are fully ozone-safe. However, both have a high global warming potential — up to 1,700 times that of Carbon dioxide — and therefore contribute to climate change. It was only a few years ago that scientists and officials realized that there was little point in fixing one atmospheric problem if it aggravated another. So in 2007, the Montreal Protocol countries agreed to address the climate impacts of their work. The Montreal Protocol now encourages the countries to promote the selection of alternatives to HCFCs that minimize environmental impacts, in particular impacts on climate change. The air conditioning and refrigeration industries are being encouraged to switch from HCFC to substitutes ahead of the global phase-out deadline of 2030. Alternatives — including natural refrigerants such as ammonia, carbon dioxide, hydrocarbons — are entering the market for many applications. Parallel to this, consumers are being encouraged to opt for newer appliances that are both ozone-safe and climate friendly. It takes time and effort for this message to spread and take hold. Many users — especially in the developing countries — only consider the purchase price of appliances and not necessarily the long-term energy savings or planetary benefits. Events like the first Asian Ozone2Climate Roadshow, held in the Maldivian capital Malé from 8 to 12 May 2011, are pushing for this clarity and awareness. It’s still an uphill task: too many people have to be won over on too many appliances using a wide range of chemicals and processes. And sitting here at my freezing corner of Paradise, I feel we should add another message: conserving energy includes a more rational and sensible use of air conditioning. Perhaps we should promote and adopt the Japanese practice of Cool Biz. Introduced by the Japanese Ministry of Environment in the summer of 2005, the idea behind Cool Biz was simple: ensure the thermostat in all air conditioners stayed fixed at 28 degrees Centigrade. That’s not exactly a very cool temperature (and certainly no freezing), but not unbearable either. The Cool Biz dress code advised office workers to starch collars “so they stand up and to wear trousers made from materials that breathe and absorb moisture”. They were encouraged to wear short-sleeved shirts without jackets or ties. 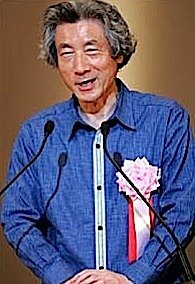 Then Prime Minister Junichiro Koizumi himself set the tone, wearing informal attire. But then, he was already known for his unorthodox style. Clothes designers and retailers chipped in, with clothes offering greater comfort at higher temperatures. Cool Biz changed the Japanese work environment – and fast. I remember walking into a meeting at a government office in Tokyo a few weeks after the idea had been introduced, and finding I was the most formally dressed. The Japanese like to count things. When the first season of Cool Biz ended, they calculated the countrywide campaign to have saved at least 460,000 tons of Carbon dioxide emissions (by avoided electricity use). That’s about the same emissions from a million Japanese households for a month. The following year, an even more aggressive Cool Biz campaign helped save an estimated 1.14 million tons of Carbon dioxide – or two and half times more than in the first year. The idea also traveled beyond Japan. In 2006, the South Korean Ministry of Environment and the British Trade Union Congress both endorsed the idea. Meanwhile, the rest of us freeze-happy tropical Asians can evolve our own Cool Biz practices – we don’t need to wait for governments and industry to launch organized campaigns. For a start, we – as consumers or patrons – can urge those who maintain public-access buildings to observe voluntary upper limits of cooling. Sensitive thermostats can automatically adjust air conditioner operations when temperatures rise above a pre-determined comfortable level. It all depends on how many of us pause to think. Of course, we can also continue business as usual – and freeze ourselves today for a warmer tomorrow. Nature, Inc. TV series: Exploring the planet’s largest ‘enterprise’! Nature is priceless — or is it? If we put a cash price on the economic services that, say, watersheds or insects or coastal mangroves provide, would we value Nature more? Would we be prepared to change our ways of measuring wealth and economic growth? And if we did, would that slow down the extinctions and collapse of ecosystems? These are some of the issues that are explored in Nature, Inc., a path-breaking TV documentary series that puts a price-tag on environmental services such as forests, wildlife and coral reefs. First broadcast in 2008 and 2009 on BBC World News, Nature Inc. broke new ground for environmental programming by seeking out a new breed of investor – those who believe they can make money out of saving the planet. Nature Inc. offers new insights into valuing the benefits of natural systems and biodiversity. It takes its lead from economists who have worked out that ecosystem services are worth more than the total of all the world’s national economies. The first and second series are now available from TVE Asia Pacific (TVEAP). Each series comprises six half-hour episodes, compacting stories filmed in different parts of the world. Broadcast, civil society and educational users across the Asia Pacific may order copies at the cost of duplication and dispatch, and without having to pay a license fee. The series was produced by One Planet Pictures of the UK, in association with dev.tv of Switzerland. “There is new green thinking out there and some of it is grappling with pricing renewable assets. As such we felt it was a legitimate new area to take as an organising theme for the new series,” says Robert Lamb, series producer of Nature, Inc. “Perhaps the global recession has made viewers more aware of the ‘eco’ in economics”. The series is based on new research and analysis being done on the subject. Among these new studies is the Economics of Ecosystems and Biodiversity (TEEB), a major international initiative to draw attention to the global economic benefits of biodiversity, to highlight the growing costs of biodiversity loss and ecosystem degradation, and to draw together expertise from the fields of science, economics and policy to enable practical actions moving forward. But adding a price tag to Nature is not something that pleases all scientists or activists. Robert says the producers received “an overwhelmingly positive reaction” to the first series, but there was also a small minority who wrote in to say they hated the premise of the whole series. Here’s a sample episode from the series, titled Coral Cashpoint. In this, Nature Inc investigates a claim that our coral reefs are worth $30 billion a year. In this fourth episode, we go diving on the Great Barrier Reef, the Maldives and to the bottom of the North Sea to find out how coral reefs supply 500 million of us with food and work. But we are destroying the reefs so quickly, they could vanish entirely in less than a hundred years. 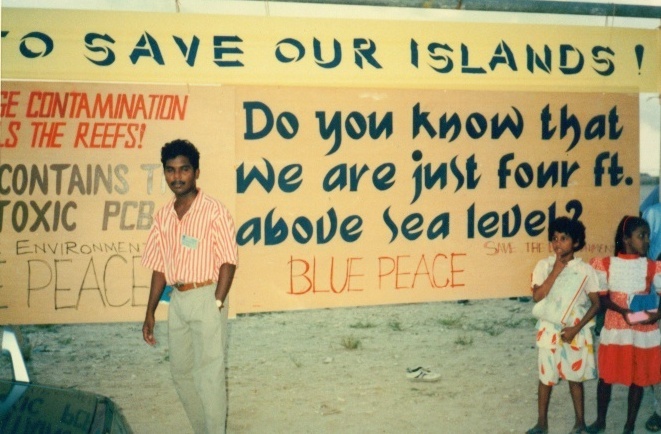 Bluepeace, the first environmental organisation in the Maldives, recently marked their 20th anniversary. I’m not a professional photographer, but as a journalist I often carry a camera and take photos of what interests me. So I’m very glad to have captured that historic bill board as a journalist covering the conference. Bluepeace still uses it in their records, always with acknowledgement. Now, Bluepeace is actively using photographs as part of their climate advocacy. VULNERABLE is a photo exhibition organised by Bluepeace. To celebrate the 20th anniversary of Bluepeace, and to join the global environmental movement bringing attention to the dangers of climate change in the run up to United Nations Conference on Climate Change (COP15), Bluepeace presents VULNERABLE, which showcases the face of climate change in the Maldives. The exhibition documents the vulnerability of the fragile coral islands of the Maldives to climate change, through pictures from talented Maldivian photographers. It depicts a nation under threat, as it tries to safeguard an age-old culture and lifestyle that could be erased with rising seas and climate change. VULNERABLE was launched online on October 24, the International Day of Climate Action organised by 350.org, which calls for a reduction of global carbon emissions below 350 parts per million. In the coming weeks and months the exhibition will move to different locations in the Maldives and other countries, including Copenhagen in December 2009, where it will be hosted by Klimaforum09, an alternate climate summit with participation from global environmental movements and civil society organisations. Under seige from the deep blue? President Mohamed Nasheed: Stop pointing fingers! It had taken many days to set up the interview, but in the end we got only 15 minutes of the promised 30. President Mohamed Nasheed turned up more than an hour late, lagging behind in his day’s schedule. While waiting, his staff had repeatedly asked me to cut down the interview as the President was already late for a state function. I had nodded half-heartedly. President Nasheed (known among his people as ‘Anni’) walked in, beaming and apologising for keeping us waiting for over a day. We had set up our lights and video camera the previous day, only to find that the President had cancelled all his appointments that day to be with his young daughter hospitalised with the ‘flu. As a father myself, I could fully understand – even if it affected our filming plans. I introduced myself and crew, and asked how his sick daughter was doing. She is not in any danger, he said, and should be home soon. That was a relief. I ushered President Nasheed to the simple chair we’d chosen for him to occupy during our interview, being filmed in the stately room where the President normally receives high level state guests. As the crew pinned up the mic and adjusted the lights, I quickly explained who we were, and what the interview was for – a short film that would be globally distributed highlighting the vulnerability of his island nation to climate change impact. In the 15 minutes that we had, I asked a total of 10 questions. I had sent in advance a baker’s dozen questions to his media staff. I don’t know if they briefed him, but clearly President Nasheed was in his element. He didn’t have any notes, and yet answered my questions perceptively, genuinely and always eagerly. The one-time journalist and human rights activist was very media savvy. He must have been asked some or most of these questions many times before. Yet with each answer, he found his comfort levels with me and by about the fifth minute, we were nicely chatting along. I had to keep reminding myself that I was really talking to one of Asia’s youngest heads of state. At that moment, he sounded every bit a chatty technocrat. President Nasheed had lot to say, and knew just how to say it. I had prepared for days, reading his recent speeches and op ed essays. I had figured out what to ask to elicit the kind of answers I was hoping for. He didn’t disappoint me. If his staff had not interrupted our interview, we could have easily gone on for half an hour or longer. The next minute, his tone became more resolute when talking on coping with massive changes already unfolding as a result of global warming. He stressed the value of democracy, good governance and people’s right to information as vital elements in adaptation – the difficult task of living with climate change. Responding to my questions, President Nasheed talked about plans to make the Maldives carbon-neutral within a decade, and said the ‘sovereign wealth fund’ he announced soon after his election was already saving money “so that we will have something when the going gets very bad….”. Sinking slowly in the East? We also wanted to film President Nasheed at work, to establish him as an engaged political leader – the first democratically elected President of the Indian Ocean archipelago of 325,000 people. But there was no time. We then hoped to film his daily walk home after work. But the rain and delayed schedule meant he went home by car – and after dark. So we had to rely on stock footage instead. A month after my interview, TIME Magazine named him an Environmental Hero of 2009 – the only serving head of state so honoured this year. I was delighted to see this, but TIME’s chosen photograph made me very jealous. I had dearly wanted to shoot our interview outdoors, but a combination of bad weather and presidential schedule ruled that out. Evidently, TIME photographer Chiara Goia had better luck: President in full business suit standing about a foot deep in the calm, azure waters of the Maldives. The same waters that he and his team are trying desperately hard to keep at bay, for as long as possible. 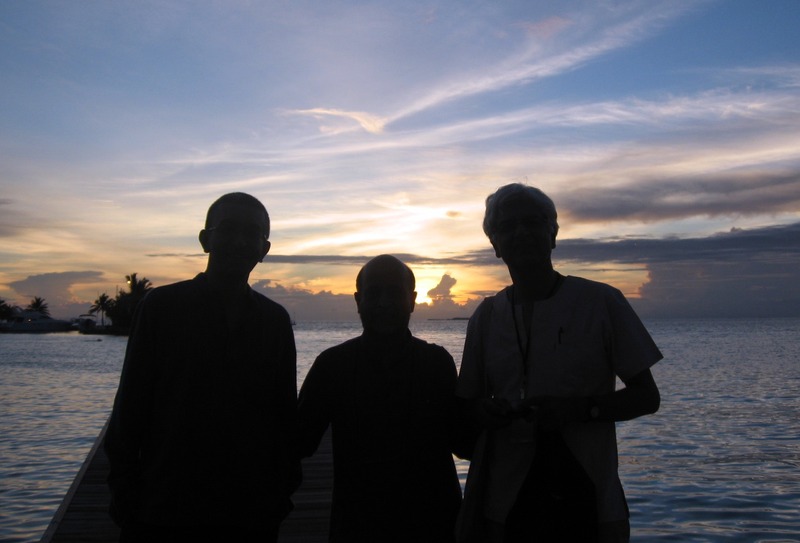 Blog post January 2008: Little voices from the waves: Maldives too young to die!